After a successful few years with the railroad's first dining car 24, a second car was remodeled in the spring of 1995. This car incorporated many functional improvements learned from three years and dozens of operations with the Ravenswood, including a larger bar and more efficient galley facilities. Completed in only thirteen months by the volunteers, and named the Beverly Shores, it increased the total capacity per run to one hundred. 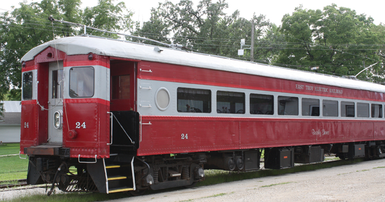 The East Troy Railroad Museum offers both regularly scheduled dining service trains and charter dining service using these cars.